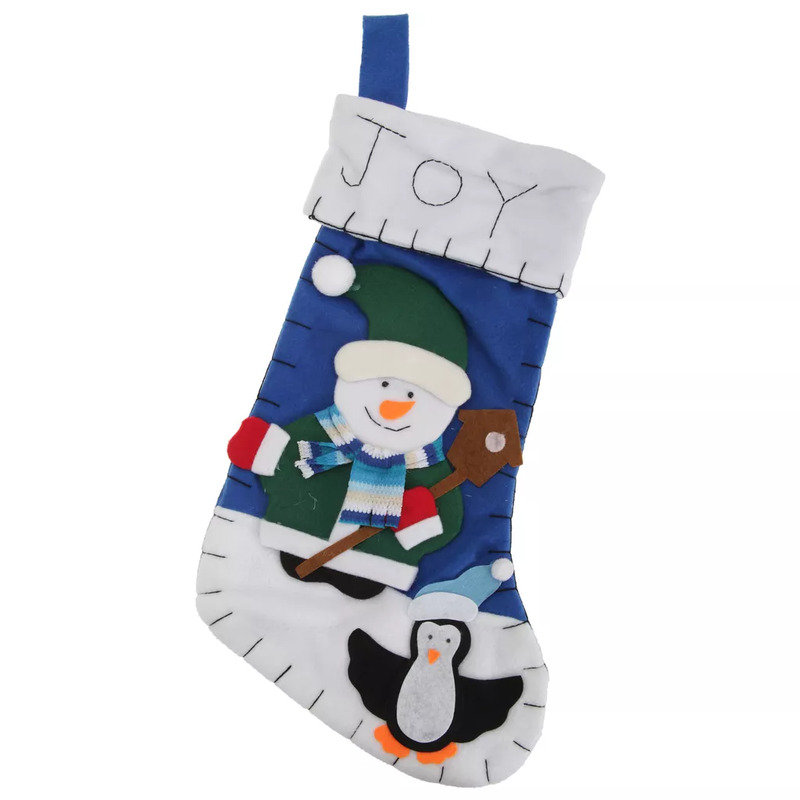 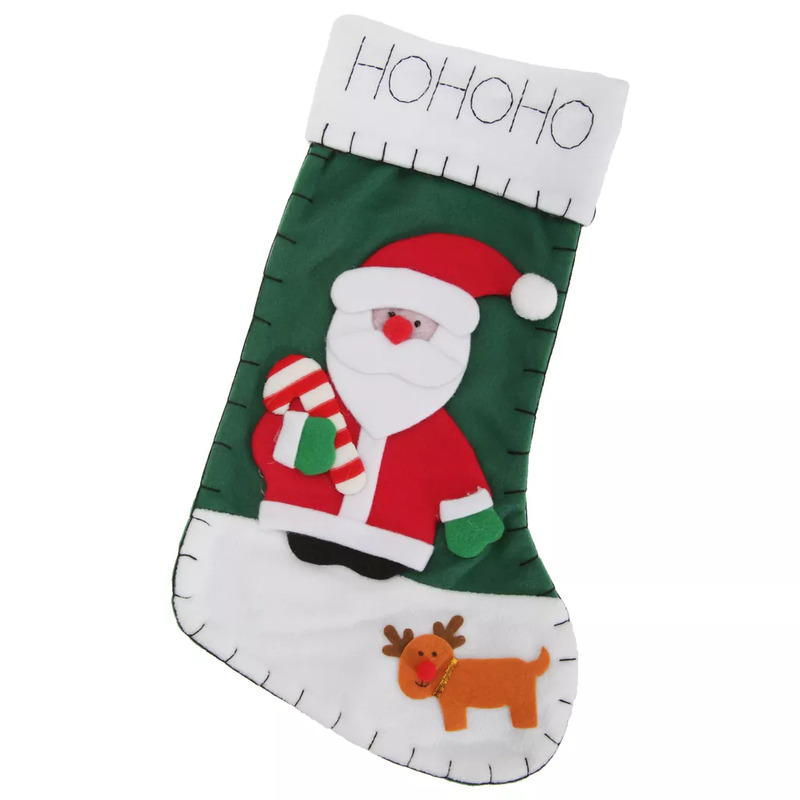 Christmas stocking in bright, colourful designs. Choice of Snowman, Santa or Reindeer design. 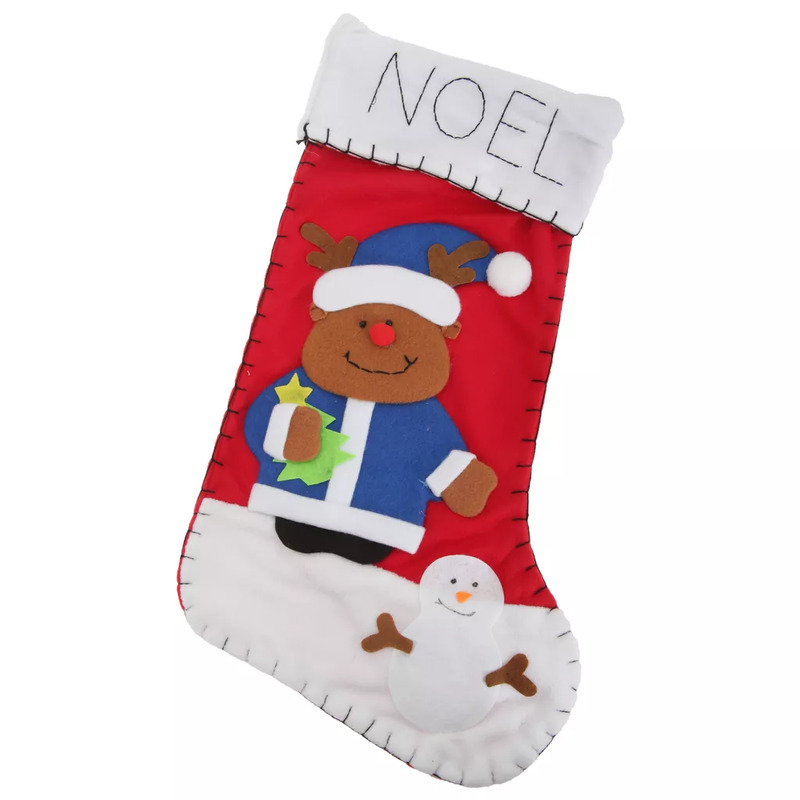 Soft felt build with stitching accents, including Joy, Noel or HoHoHo text on the cuff. Features loop on the inside to hang your stocking by the fireplace.